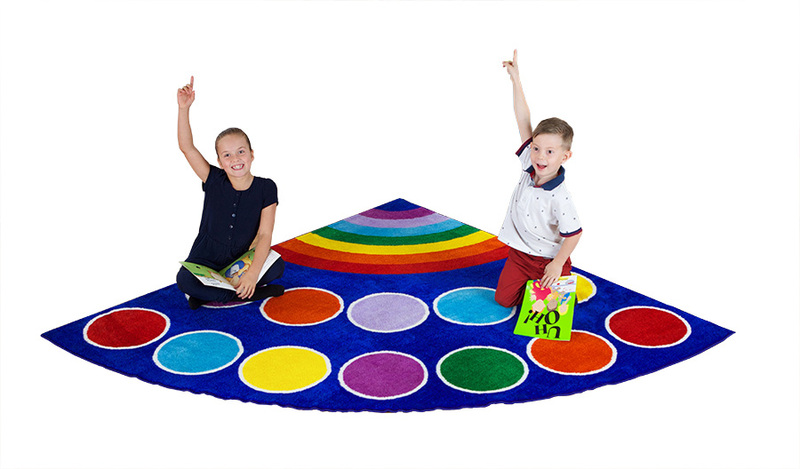 The Semi-Circle Rainbow Placement Classroom Rugs have been designed to encourage learning through interactive play and are available in 2 sizes – small or large. 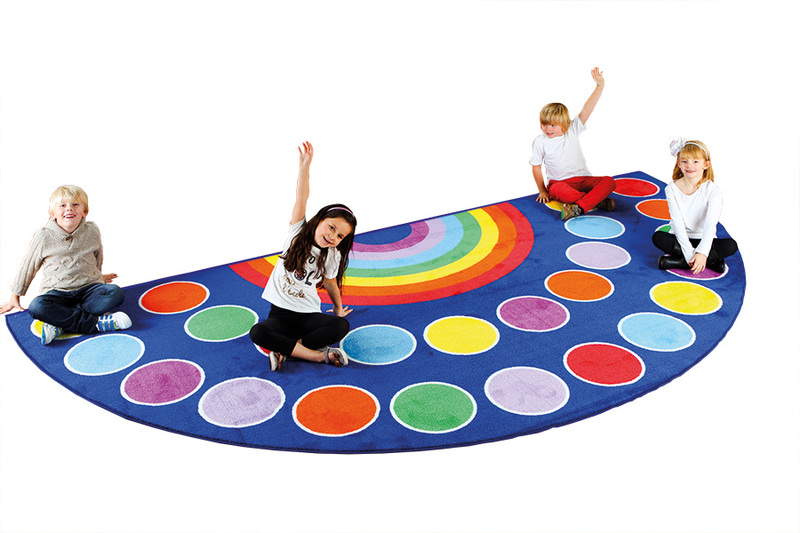 The interactive educational rugs are ideal for early years’ colour recognition and feature 13 or 24 placement spots depending on the size, as well as a teacher spot at the centre. 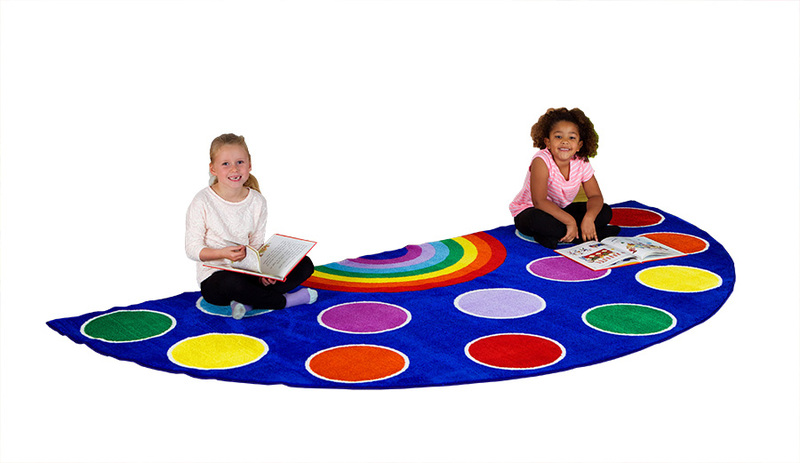 The colourful placement spots on each mat allow you to seat children in their own space, perfect for interactive learning games, story time or play time. Our rainbow classroom rugs are made from an extra thick, soft textured Nylon tufted twist pile which is designed for longevity and comfort. The tightly bound edges prevent fraying and the tuft strands meet heavy duty laboratory pull tests. The anti-crease classroom carpets feature a specially designed anti-slip Rhombus backing to ensure safe use on all surfaces. Complete with a 1 year manufacturer's warranty. Our classroom rugs meet essential safety standard EN71 Parts 1,2 and 3. Also available in rectangle, circle, square or corner shapes.